It applies to both individuals and organizations. With regard to the police function, a citizen cannot expect the police to operate only legally — but that they must also act morally. For without moral considerations, policing would become both ineffective and unbearable in a free society. These are examples of more current moral decisions: permitting political protesters to march in the street, or occupy a park contrary to law, not arresting adults for the possession of a small amount of marijuana, not determining immigration status when dealing with “undocumented” persons who are crime victims. The law in these cases may permit an arrest, but in doing so the community would not consider the arrests to be “right” or “good.” In the above situations, the police officer could take action but choose not to do so. The decision, therefore, is based not on whether the behavior was illegal, but rather on whether taking enforcement action would be, in this situation, a moral act. Nevertheless, whenever police use this discretion it must always be done with openness, accountability, and never for personal reasons. In these situations the police recognize that the preservation of human life is an extremely high value in our society. While the police may legally use force in a number of situations (e.g. to apprehend any person who is running away from a serious crime), they, instead, choose to limit and regulate themselves by setting a clear distinction between what they can do versus what they will do — or at least attempt to do. They are making a moral decision that they will only use deadly force if a life is being threatened. And, of course, to put a policy like this into effect, especially when it means to change past behavior, means the police will have to teach the new standard to their officers, adequately train them to be competent in using “force wisely and judiciously,” and to take disciplinary action when they do not. The moral obligation of police reaches above mere legal compliance and addresses those necessary and additional actions which are designed to improve their relations and effectiveness with the community. For without police having the trust and support of the community, they cannot effectively function. That is why police are so hated and despised (and ineffective) in a totalitarian society. Therefore, it is necessary that police openly address what they believe to be their moral obligations. They find this out by study and listening to and working with the community. A police department that is in close touch with the diverse communities that exist in most American cities finds out what they need to do — both legally and morally. The moral obligations of a police department should be addressed in their vision and mission statements — what they want to become and how they will act. A police department may announce that they are committed to being responsive to the community and practice collaborative and team-based leadership — neither of which are mandated by law. But no matter what they say, it is what they do that matters. A mission statement may describe how police wish to work with the community. If they say they are committed to solving community problems, being fair and effective, and continuously improving what they do, citizens will come to expect those behaviors. If they say they will sincerely listen to citizens, be open and accountable to them, and assure diversity in their hiring and promotional practices, citizens will expect them to act in accordance. For the most part, police are not legally obligated to act morally, but it behooves them to do so. And a police department that does not operate morally is always in conflict with its citizens and, thus, becomes ineffective in their ability to both protect and serve their citizens. The purpose of asking questions such as these is to encourage a public discussion between the community and its police. The goal which is to solve a perceived problem and enable the police to make the necessary corrections and changes. It also enables them take or more of the seven steps I mention in my new book. Steps which will lead to their continuous improvement. When police make choices, they should be both legal and moral. Posted in Uncategorized and tagged arrested development, choices, culture, deadly force, decisions, improving police, leadership, moral acts, moral choices, morality, mores, training. Bookmark the permalink. I always believe action speak loudly than words which is how the public viewed the police in their performance or lack of performance in carrying out their discretion or lack of discretion when it comes to doing things or not doing things in a moral manner. I posted this over two years ago and before Ferguson. Now more than ever… a police action may be legal, but is it moral? This article can teach us a lesson on how to remove the bias and view the acts the police engage in as they should. I understand that. It is important for democratic societies throughout the world to adopt these principles for police. Encourage open-minded, honest police in Kenya to follow this blog. In the long run it will be of great help when real reform comes as it will! Stay in touch! A fellow co-worker who was from Kenya, informed me that when a Kenyan police officer steps out of line, he gets beaten up by the public. I think one thing needs to be stressed and it is that a professional democratic police needs a democracy in which to thrive. It is really about values and how we “walk our talk.” While South Africa has a legacy of Apartheid, it also has Mandela and what he stood for. It is difficult for police to function as I see them — for the people — when a society is either racially or economically segregated. Yes, the police use the power of the state, BUT that power must we used according to the society’s values — often written in their constitution. The kind of police I write about and with whom I have tried to teach most of my life is a police who model the societal values they, in most places, pledge to uphold and protect. Is that helpful? You might also take a look at my book at http://www.createspace.com/5019451. To my mind, there are several obstacles to surpass in order to achive police officers working with a real, effective morality. Some officers say: ” As the laws are moral, we have just to require its observance everytime, everywhere, without any other moral consideration”. Only providing officers with common training and educational resources, we will be able to develop both a common and effective morality. Revisiting some of your thoughtful posts. I wanted to add a few thoughts to this one. I’m all in on teaching legal and moral choices and yes, departments should have mission statements that include what type of moral vision they have. My old department had a mission statement that read very similar to the example you used above. Partnering with the community to reduce crime… That sounds great, but I was always more interested in what that exactly means. The reality, unfortunately, usually meant statistically driven numbers that relied on this formula: Arrests+Tickets divided by Hours worked. Nowhere in any performance measure was anything intangible about actual crime reduction in the officer’s zone or other measures of values. I think we’ve done a great job of attending meetings and saying we are partnering. Now it’s time to actively mentor officers to behave in ways that truly value life and a reduction in violence. It won’t be easy. Like turning an ocean liner, the arc will be wide and slow. Leaders will have to convince their mid-managers that this is what they value and then hold them accountable. Too often, this kind of mission is articulated at the top and dissolved before it gets down to the officers on the ground. That said, I know there are departments getting this done. I’d love to hear more from them. Just my thoughts. Thanks. Sometimes I think that police managers just act in this way because they realise that neither society nor politicians are making nothing for changing things. It’s clear that a real community policing needs not only of a change in policing but also of a change in how communities organise themselves. Of course, it starts at schools with activities in order to teach children the importance of living in both organised and collaborative communities. So, without a political involvement it’ll be very difficult. Meanwhile, police just try to survive by justifying themselves with statistic figures based in arrests and fines. “Al o of a change in how communities organise themselves. Of course, it starts at schools with activities in order to teach children the importance of living in both organised and collaborative communities. So, without a political involvement it’ll be very difficult. The police play a large part in how communities turn out when you look at how they harass certain sections of the communities and they became politically involve in how those communities turn out. Liars will always be treated as not worthy of trust and respect. Police lie to those they come across on duty every day. Being honest and moral is never a moral obligation that police recognize. An honest cop is an oxymoron. Having honesty and respect for those you are supposed to protect is the highest moral duty. Was it the right thing to refuse to answer why I was pulled over? Was it the right and ethical thing to lie to me? Is acting paranoid like the world is out to kill you and thereby threatening me the right thing to do when I like most people am perfectly safe to be around until I am threatened? 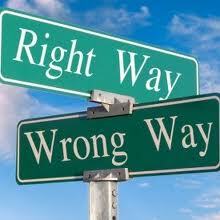 I think perhaps there should be a delineation between morals and ethics. Only the individual officer can set his/her own moral code, not any department, The department sets a code of ethics, and hopefully the officer’s moral code coincides with it. Otherwise, the officer may need to change careers. Well said, Chuck. Absolutely — there needs to be a close alignment between an officer’s morals and the department’s code of ethics. Otherwise, as you say, find another job! If an officer can’t make the correct/proper moral code, then he/she has no business in applying for a police job in the first place. First get the values/ethical requirements — if they fit, then apply for the job! Well said, Gunther. A Police Shooting: What Would YOU Do?